This summer, Zimbabweans witnessed their first major transition of political power since their 1980 independence from British and white minority rule. With the recent changes, economic uncertainty came to a head in September when tax increases on fuel triggered a series of exorbitant price hikes, on everything from gas to imported goods. I witnessed this unfolding crisis on my recent trip to Harare, Zimbabwe’s capital city, in November. As a result of inflation and price hikes, medicine and groceries have become unaffordable for many, and in some cases, completely unavailable. Cash—the value of which can decrease overnight—has become extremely hard to get. Despite these harsh economic conditions, we see God guiding as savings group members find innovative ways to support one another. At HOPE International, we celebrate innovation. 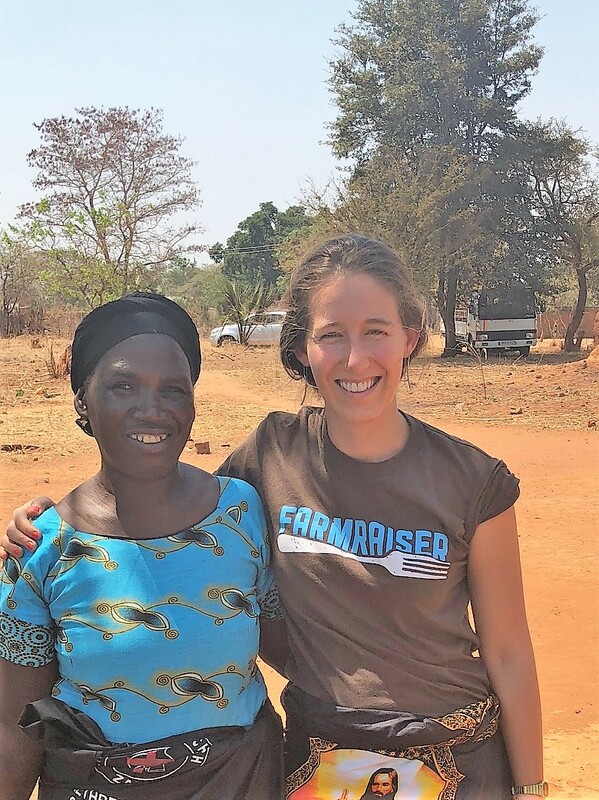 This past year, as savings group members in Zimbabwe have courageously faced a serious economic crisis, I saw incredible examples of resourcefulness and even generosity among members. 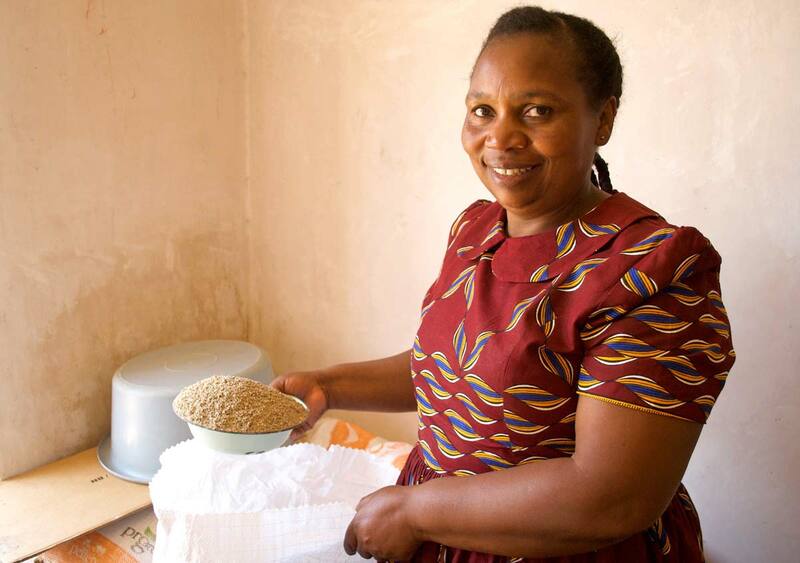 To avoid paying inflated prices as the economic crisis escalates, many savings group members in Zimbabwe are pooling their savings to buy wholesale groceries and household necessities together. For example, though many people could not even afford cooking oil in October, members who had bought wholesale with their group earlier in the year have enough to last them until January. Although up to 10 currencies are officially accepted in Zimbabwe, cash is hard to come by. Many members are using a mobile money transfer service for their business transactions. When it comes to saving during group meetings, they collectively choose which currency is most stable to save with. 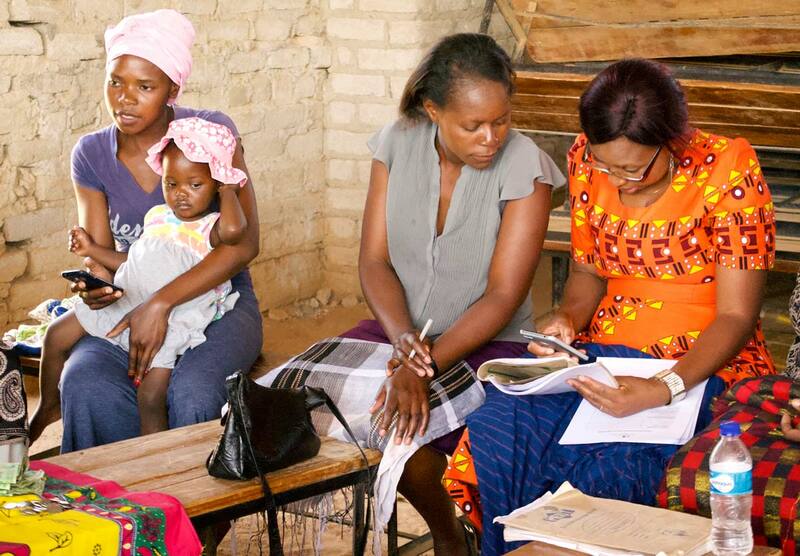 Wendy and Gertrude, savings group members and joint business owners, have had to raise the price of their eggs because chicken feed doubled in price. As the economy fluctuates, they continually consult one another through WhatsApp groups to stay on top of current prices. Their egg sales have actually grown in the last two month as meat is no longer affordable in low-income areas. The majority of savings groups in Zimbabwe continue to meet and save despite their limited access of cash. As they worship and read the Bible together, they are reminded that God is always faithful. A month ago, a group of field coordinators from a local church partner met, along with HOPE staff, to have a prayer day, lifting up the needs of their nation, churches, and group members. 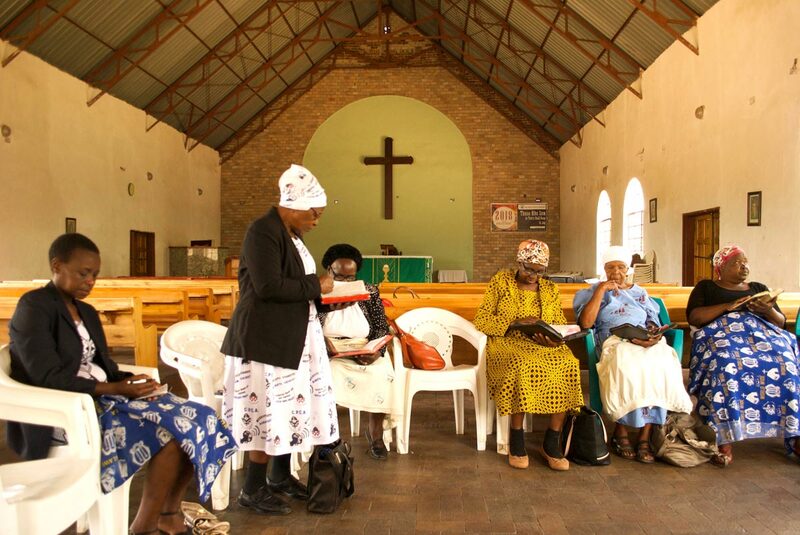 Despite a truly tough financial situation, savings group members in Zimbabwe continue to meet and save what they can, finding comfort in praying together and taking care of those in greater need than themselves. We want to invite you to join our brothers and sisters in Zimbabwe in prayer through a special video on our prayer page. Elizabeth is a field journalism fellow with HOPE Zambia. She is a graduate of Hanover College, where she majored in studio art with a focus in anthropology. Since then, she’s worked in secondary education through the AmeriCorps, a hostel, the Indianapolis Museum of Art at Newfields, and the Sagamore Institute think tank. Recently, she completed a fellowship at the John Jay Institute in Philadelphia and mentored low-income teenagers at Teen Works. 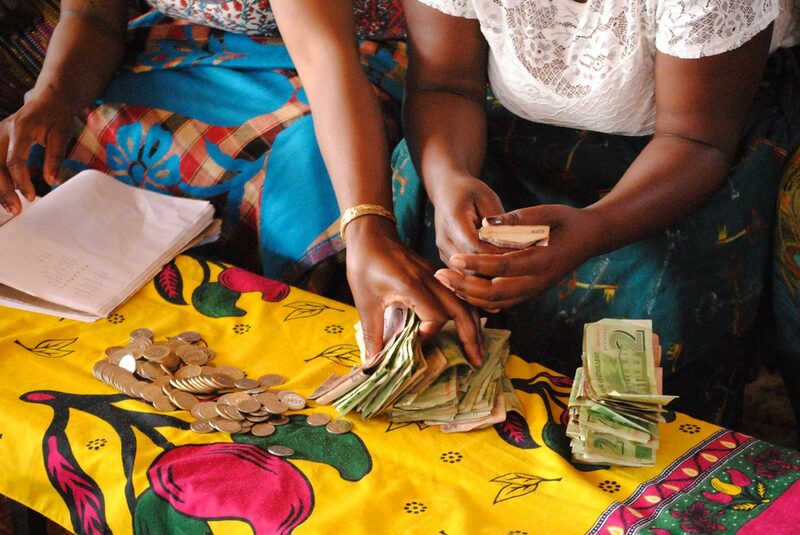 I love the innovation and strategic foresight demonstrated by these women in the savings groups. It is so easy to become bitter and isolated during a crisis at times, but one can see the great relational capital present in this community. The US may have financial capital but there is much we can learn from these women. So, it is wise to invest our financial capital to leverage even greater returns like what is seen here. Also, how much better off would many of us be if we followed their same example? We can learn from them. 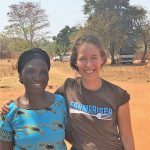 One final thought….while there is no doubt about the impact that Hope International had on these women, the great solutions were ones that were locally derived. These women, and many men and women like them in poor nations throughout the world, are all image bearers of Christ who able to solve their problems if only empowered to do so. God has used Hope International in many ways to empower people throughout the world. (For anyone who may be thinking this is a self promoting post from Hope International, I can confirm that I neither work for Hope International in any capacity nor benefit from what they do. I am merely someone who works internationally and have seen first hand the impact of what God has done through this ministry). Great article! I am inspired by my Zimbabwean brethren to be a better steward of the resources God has given me!